Environmental Health is a service within the Orange County Health Department and is responsible for protection of public health through various programs. Check the Orange County Homepage for delays and closings in times of inclement weather. Need to email our staff? Have an Environmental Health Question and Aren't Sure Who to Ask? Please tell us how we are doing by taking this quick survey - thank you for your input! Click HERE to take survey. During cold weather months, people are staying indoors and are in close personal contact, especially when we share snuggles, friendly handshakes, and holiday kisses. We spend time and eat with groups. 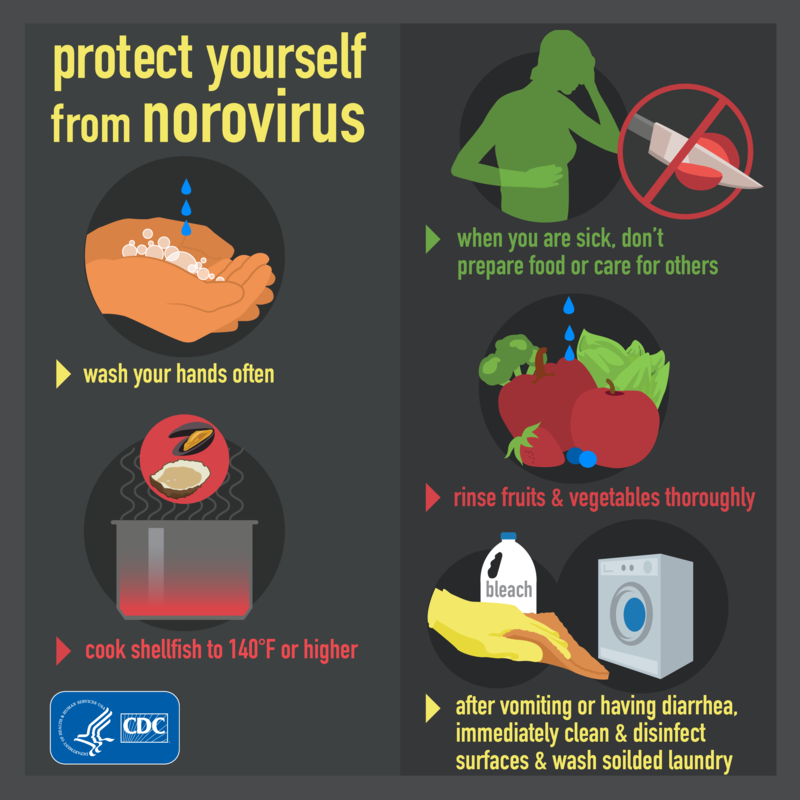 Hand washing is so important to helping prevent the spread of Norovirus. Watch a FoodSafety Matters on Norovirus prevention here. Share a quick video here. Print out a poster here. Read more about illness here. Keep a vomit and diarrhea clean up kit ready. Learn more here. ATTENTION ALL FOOD SERVICE OPERATORS- EFFECTIVE JANUARY 01, 2019- NEW COLD HOLDING REQUIREMENTS FOR 41F OR BELOW. CLICK HERE TO LEARN MORE. Orange County Permitted Mobile Food Units and Push Carts! We have an easier way to report your working locations. Email us your schedule or just check-in that one locatio n on the spot.